Here’s a little something to brighten up your day. I posted this on the blog’s Facebook page last night, but it needs a fuller airing. Meet Cammy, a young Chicago Blackhawks fan. Cammy was born unable to walk or speak. But she loves the Blackhawks. Just ask her, she’ll tell you — since as we all know, non-speaking does not mean nothing to say (HT: diary of a mom). I see a lot in that video. For starters: nonverbal communication. Cammy’s smile could melt all the snow in the northeast. Does she need words to tell us how happy she is? Here’s what else I see: connection. Keith’s interaction with Cammy goes far beyond an autograph, a handshake and a picture. He connects with her. They even have a conversation about missing teeth! 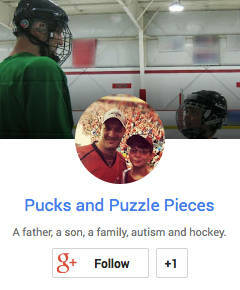 (A subject Keith knows something about — he once took a puck to the face, lost seven teeth, and stayed in the game). Cammy’s smile, and that of her parents, says it all. I’ve watched Ryan interact with his hockey heroes, who similarly took the time to connect with him. The experience changed him — it filled him with a confidence that carried over to other aspects of his life. 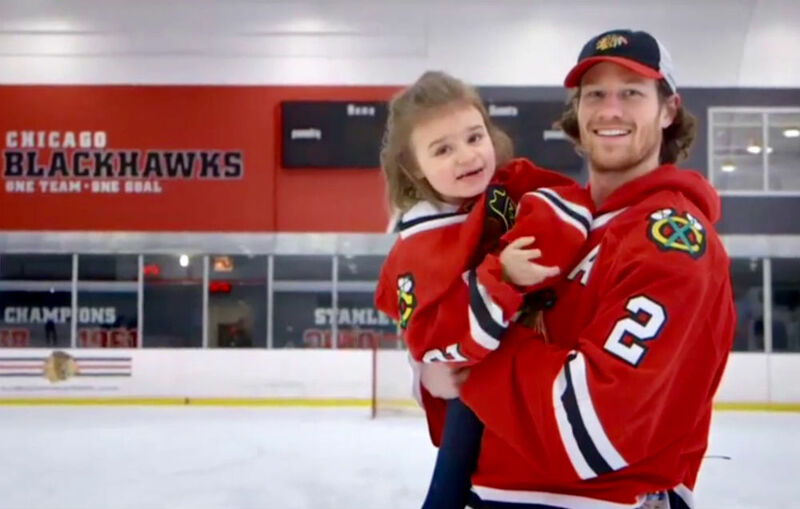 We have a saying around here, “hockey people are good people.” Duncan Keith and the Chicago Blackhawks are full of quality hockey people. And you know that’s not easy for me to say because Keith was a Michigan State Spartan before he was a Blackhawk. Happy Friday. May your weekend be powered by smiles like Cammy’s. P.S. – Cammy is one of several videos in the #whatsyourgoal campaign. They’re funny, touching, endearing and just generally awesome (but get the tissues ready — you were warned). I know you know I’m a huge Blackhawks fan…but these One Goal pieces are fantastic. I loved when they talked about their missing teeth. Thanks for highlighting the good that pro athletes can do!! I hate to single out one team over the others, because they all do good community work. But, man, the Hawks really get it.